At last our Savior is risen! 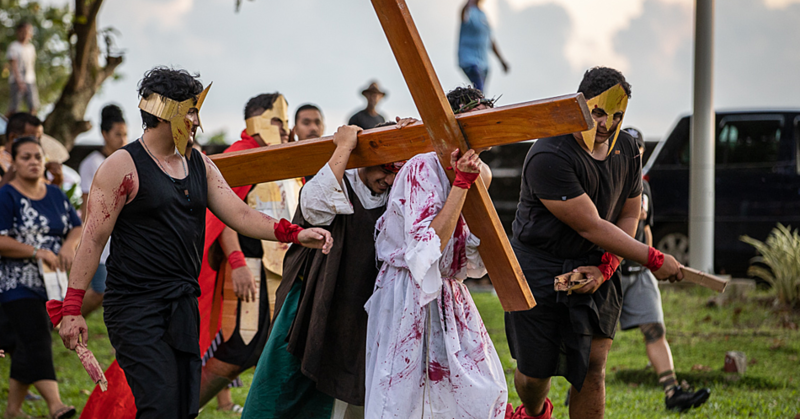 On Sunday, nine parishes in the Faleata West Sub District (Pulega), performed the story of Jesus from His triumphant entry to Jerusalem to His crucifixion and His Resurrection. The presentation was carried out by youths and Sunday Schools members. 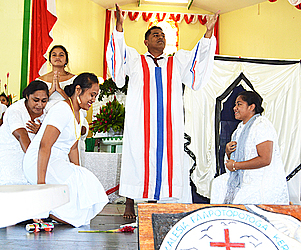 This is one of the programmes in the Calendar of the Congregational Christian Church of Samoa held every year in each Pulega both in Samoa and overseas. 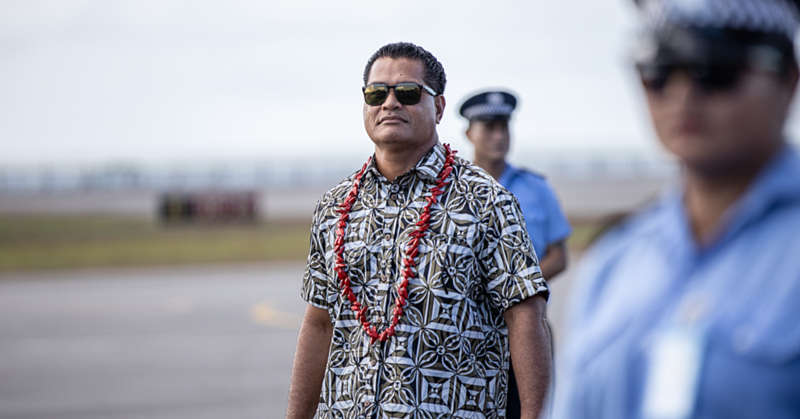 Leading the service was Reverend Siaosi Mata’ia of the C.C.C.S., Vailoa-Tai. “What are we going to answer to this love that our Father in heaven has shown us?” asked Rev. Mata’ia. “There’s no other way than to repent from our sins and walk with love with a humble heart in front of our God. Reverend Elder Fa’au’uga Mata’utia of the Faleata Sub District thanked each parish for their hard work and for making it all possible for the glory of God. “Glory to God for all your performances today and let us give Him praise and honour,” Rev. 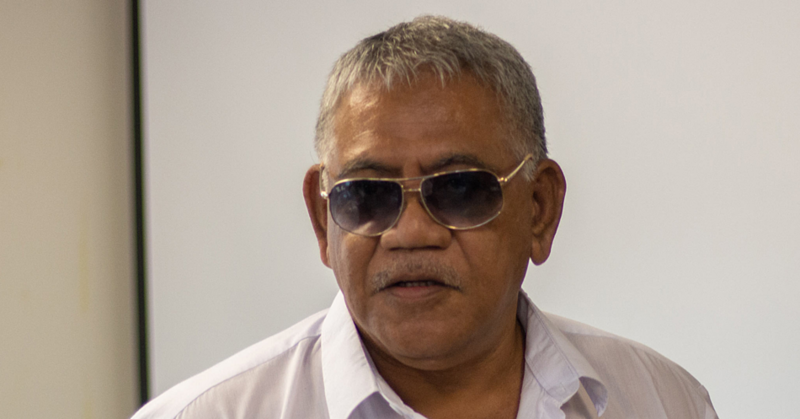 Mata’utia said. “I know you’ve given all your time in putting together all of your performances to add in more and more meaning and life to the story of Jesus. The nine parishes involved were Nu’u Fou, Elise, Toamua, Vaigaga, Vaitele-Uta, Vailoa-Uta, Vailoa-Tai, Tulaele and Petele’ema Fou (Vaitele-Fou).